Golden sand dunes, camel rides, incredible hikes, and an abundance of wildlife are just some of the many things that you have to look forward to when visiting a desert. 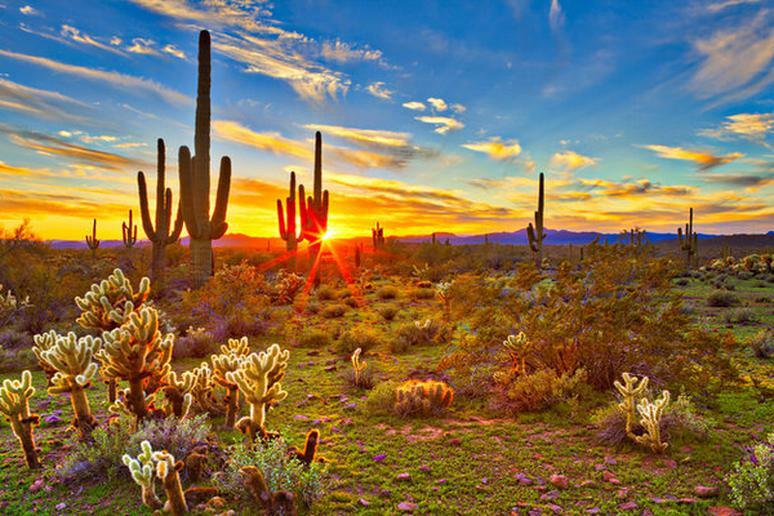 Imagine a place of peace and solitude where you can watch the sunrise behind desert mountains and gaze up at the stars into a sky unobstructed by city lights. Their otherworldly, spectacular landscapes make for thrilling adventure sports and perfect photo opportunities. Climb one of the largest sand dunes in the world at the Gobi Desert, embark on a hot air balloon ride in the Sonoran Desert, visit the incredible volcanic crater, Dallol, in the Danakil Desert, and view tons of wildlife in the Namib Desert. 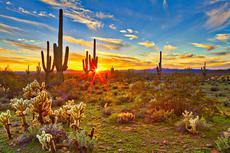 Enjoy the beauty of nature and admire the majestic scenery deserts have to offer.